Photographing a baby is not easy, but the result is very satisfying. 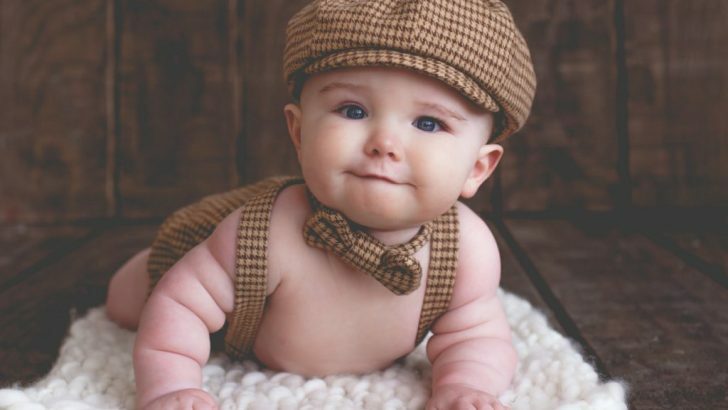 Baby photography requires specific photography skill, ability to work with babies in safe ways, and patience. You must have specific preparations before photographing babies professionally. Here is everything you need to know about being a professional baby photographer. You must have a dedicated place to photograph babies. Baby photography requires at least 10×10 feet (3×3 m) of studio size. The room should be comfortable, with neutral shades and adequate lighting source. 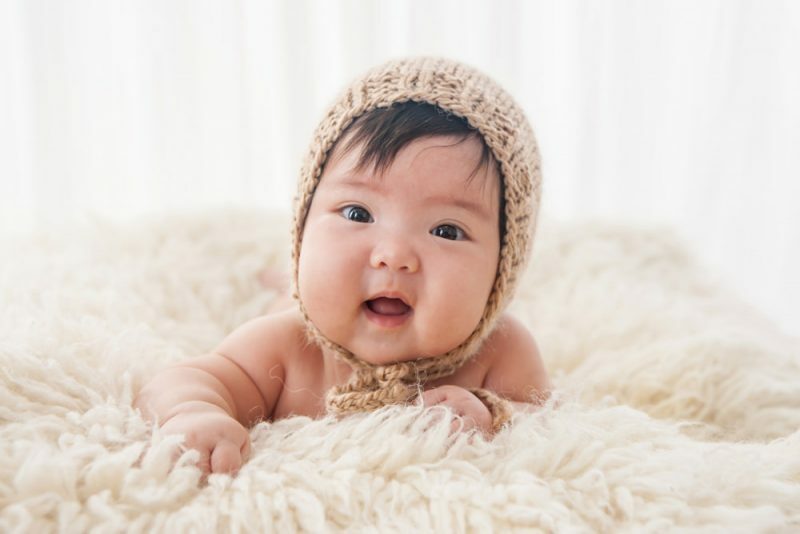 Since studio lighting can increase temperature, rely on natural light from outside to photograph babies. Make sure you have dedicated storage space for props and equipment. This space must be easily accessible, making it easier for you to prepare before and during shoots. Create a walking space and prepare a waiting area for parents. Photographing newborn baby is difficult because the baby can get easily disturbed. You can create a white noise source to relax the baby. It can be a fan, air conditioner, or heater. You can also play white noise records, such as the sounds of forest, wind, or river stream. Remove all jewelry and accessories you wear before working with babies. Don’t take any risk of choking or injury. Babies are very sensitive toward smell. Fragrance, however weak, may disturb and make them cry. Take a shower with mild soap and avoid wearing any perfume, cologne, or aftershave. If you don’t prepare the props and equipment ahead, you will have to move around the babies a lot, which is distressing. Make sure to prepare beforehand in every session. Don’t forget to always wash hands before and after every baby photography session. Babies and newborns have a weaker immune system, which can easily get compromised by germs. Don’t forget to inform parents about the important details of your session. This means telling them about what you will do, how many times you will move the baby, or what white noise and temperature details you will use. You can use various objects to place babies for posings, such as a propped mattress, beanbags, and thick, clean carpets. You can also create a posing stand with a beanbag, thick towel, strong clips, and pipes. Natural poses are the easiest options when photographing babies. Work with parents to keep the baby calm and happy while you look for perfect shots. You need to get down low, with wide focal length and extreme zoom. When arranging natural poses for the baby, take several macro shots on their unique features. Capture beautiful eyes, hands, lips, or feet soles. Invest in a good macro lens to do it. 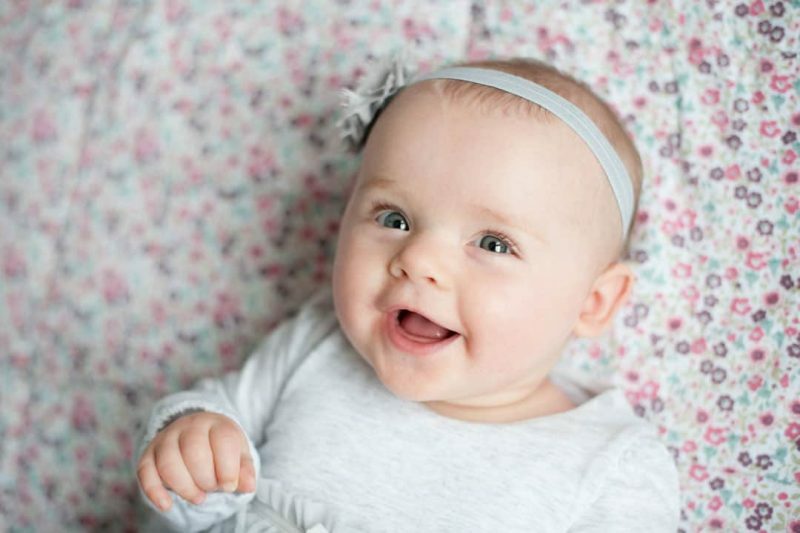 There are several popular angles for baby photography, such as close-ups, propped heads, and nursing positions. Work with parents to determine the perfect angles based on the theme. One favorite trick many parents love is contrasting the baby’s size with his or her parents. For example, you can take a close-up picture of the baby’s hand grasping the parent’s finger. 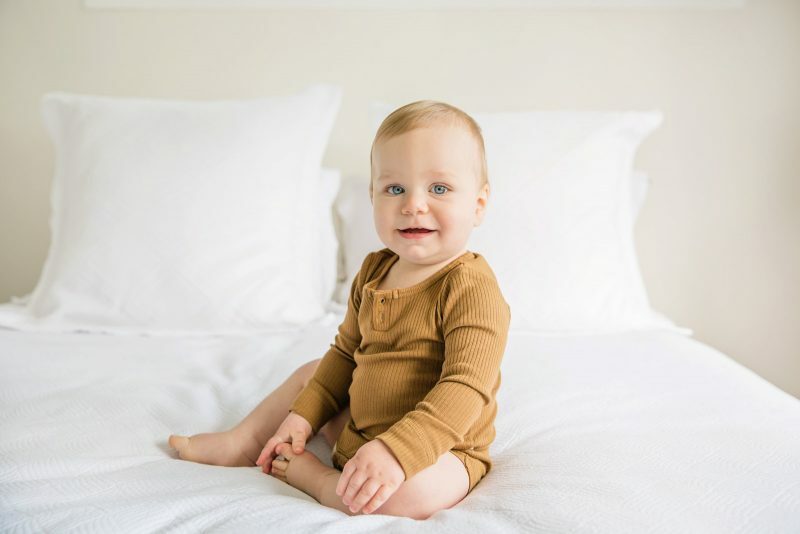 Since it is difficult to get 100 percent of perfect shots with babies, you can depend on airbrushing and perfecting tools afterward. Basic Photoshop skills help with layering, airbrushing, blending, color tweaking, and minor editing to create the best photos. However, not all imperfections need to be erased. For example, in macro baby photography, parents may want to see the baby’s specific features, such as birthmarks or freckles. You can also reduce imperfections by shooting with RAW. Use overexposure to create smoother skin in the photos. Some imperfections are easy to avoid, such as snot, tears, or milk traces. You can prepare basic baby supplies in the studio to reduce these marks. Soft towel, baby wipes, face washers (warm), and baby skin oil should be available. There are two types of parents during baby photography sessions: the passive and active. The passive ones let you do all the works, while the active ones know what they want (some are overly active to the point of controlling). There are tricks to face different parents so you can create satisfying photos. Make sure you communicate your strategies in every step. Don’t hesitate to ask for parents’ opinions about certain poses if they are passive. Be very clear about what parents must do to ensure the perfect shots. Photographing children, especially babies, need extra patience and specific skills. Communication, self-restrictions, and innovations are important in baby photography. Learn all these aspects to create the best baby pictures.